Tan Sri Mohamed Azman Yahya is the founder, Executive Chairman and the Group Chief Executive of Symphony House Sdn Bhd. He currently holds Directorships in various public listed companies which are among others the Independent Non-Executive Director of Ekuinas Nasional Berhad, Director and Audit and Risk Committee (ARC) Member of Khazanah Nasional Berhad, Director of PLUS Expressways International Berhad, Chairman and Non-Independent Non-Executive Director of Ranhill Holdings Berhad, Independent Non-Executive Director of SCOMI Group Berhad, Executive Chairman and Non-Independent Executive Director of Symphony Life Berhad, and Independent Non-Executive Director of AIA Group Limited. He is actively involved in the nation’s motorsport arena of where he is the Chairman of the Motorsports Association of Malaysia and the Director of Sepang International Circuit Sdn Bhd. Besides that, he serves as a Member of Capital Market Advisory Group of the Securities Commission, and a Member of the Special Economic Committee of the Prime Minister’s Department. His outstanding career started at KPMG in London before returning to Malaysia in 1988 where he built his career in investment banking to become the Chief Executive of Amanah Merchant Bank. He also worked with the Island & Peninsular Group. Tan Sri Azman was appointed by the Malaysian Government to set up and head Danaharta, the national asset management company and subsequently became its chairman until 2003. He was also the Chairman of the Corporate Debt and Restructuring Committee (CDRC) which was set up by Bank Negara Malaysia to mediate and assist in the debt restructuring of viable companies until its closure in 2002. He holds a first class honours degree in Economics from the London School of Economics and Political Science, and is a member of the Institute of Chartered Accountants in England and Wales (ICAEW), member of the Malaysian Institute of Accountants (MIA) and a Fellow of the Malaysian Institute of Banks. 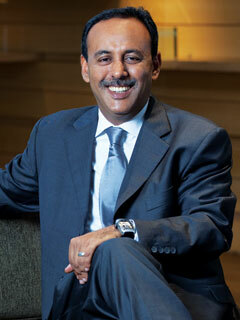 Dato’ Abdul Hamid Sheikh Mohamed was appointed to the Board of Directors since 3 December 2003. He is a Fellow of the Association of Chartered Certified Accountants (ACCA). A graduate of Emile Woolf School of Accountancy in London he started his career in the accounting firm Messrs Lim Ali & Co / Arthur Young. Later in 1989, he joined Bumiputra Merchant Bankers Berhad where he rose to become a Manager. In 1994, joined Amanah Capital Malaysia Berhad as a Senior Manager Corporate Planning, heading the newly created Corporate Planning department under the Corporate Services division. He was promoted to Assistant General Manager, Corporate Planning in 1997 and Head of Corporate Services division in January 1998. He joined the Kuala Lumpur Stock Exchange (KLSE) in May 1998 as Senior Vice President in charge of Strategic Planning and International Affairs division and was promoted to Deputy President of Strategy and Development division in 2002. 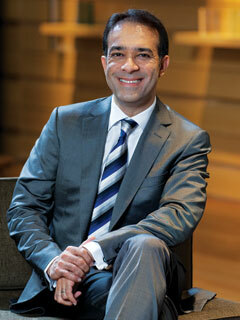 He was re-designated as Chief Financial Officer in 2003. During his five years with the KLSE Group, he held diverse roles and had experience in strategy, corporate finance, business transformation, finance and administration, treasury, external affairs and public relations. He led KLSE’s acquisitions of the Kuala Lumpur Options and Financial Futures Exchange (KLOFFE) and the Commodity and Monetary Exchange of Malaysia (COMMEX) and their merger to form the Malaysia Derivatives Exchange (MDEX), and the acquisition of the Malaysian Exchange of Securities Dealing and Automated Quotation (MESDAQ). He also led KLSE’s demutualisation exercise. He currently holds Directorship in various public listed companies which are among others the Independent Non-Executive Director of MMC Corporation Berhad, Independent Non-Executive Director of Pos Malaysia Berhad, Independent Non-Executive Director of Scomi Group Berhad, and an Independent Non-Executive Director of Silk Holdings Berhad.